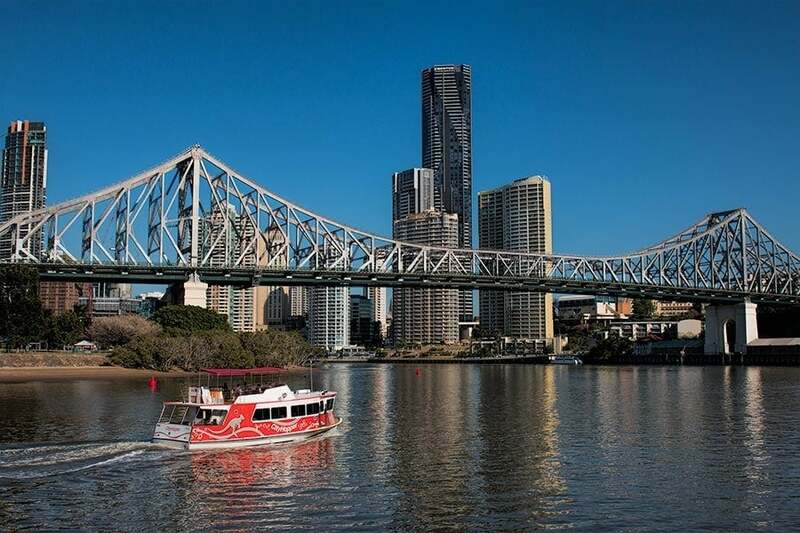 Brisbane is a great city to live in and a major hub for visitors to Queensland. Despite that many visitors bypass it entirely and head directly to the Gold Coast, the Sunshine Coast or further into the tropical north without taking the time to explore. 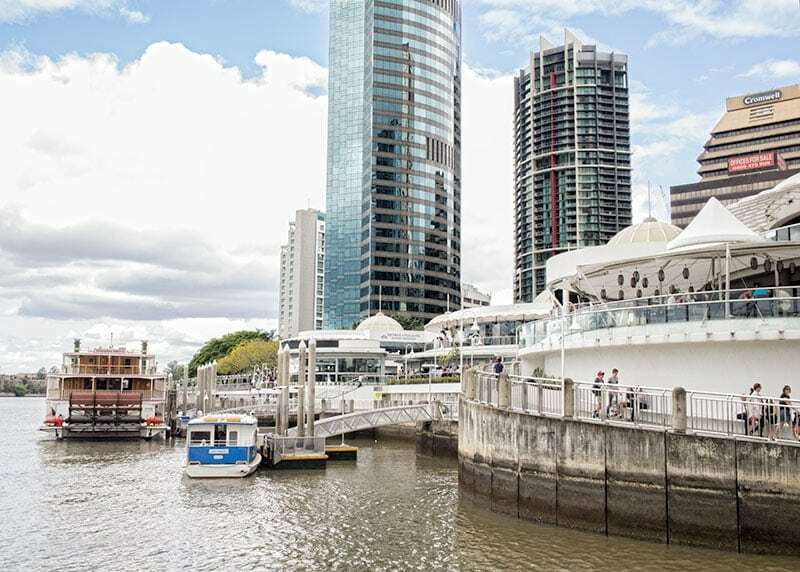 Brisbane is the capital of Queensland, a major Australian city but at the same time it enjoys the relaxed approach that fits with it’s tropical lifestyle and you’ll find its charms both parallel and contrast other cities you’ve visited. Someone recently asked me how to spend a transit day in Brisbane city without going too far afield and with very little budget. Well that would be a challenge in pretty much any city I know around the world but when I gave it some thought there are quite a few things to do using only your feet and free transport, without leaving the inner city and without spending any cash. 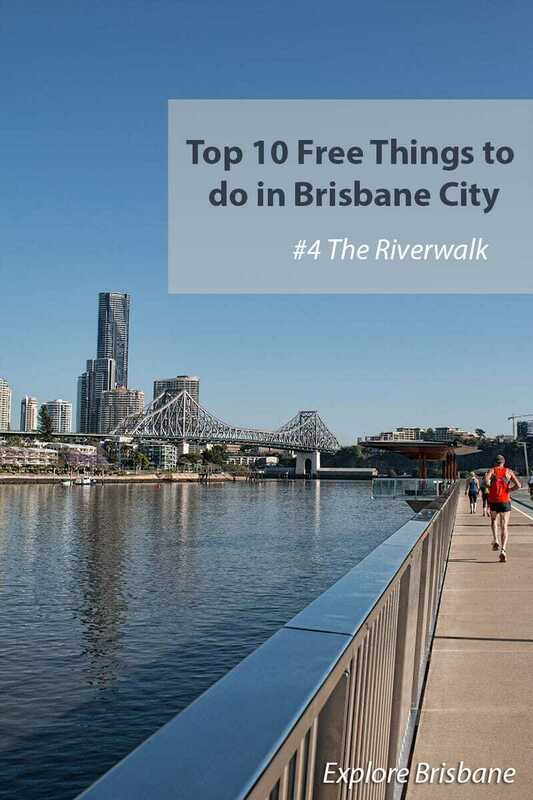 So here it is, a guide to the top 10 free things to do in Brisbane City. 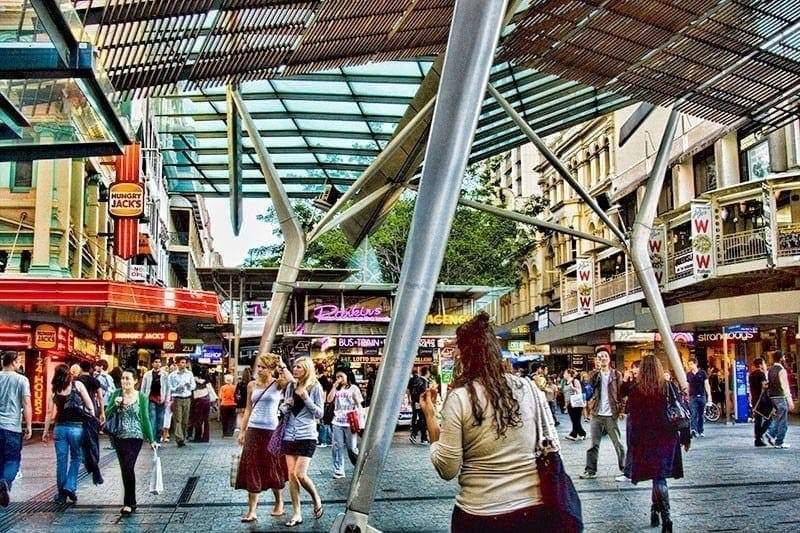 Brisbanes central city is the Queen Street Mall and it’s a good place to start your day. The main bus terminal is here and the central train station isn’t far away. The mall is the central shopping and eating district but it’s also a venue for live entertainment especially at lunch time and over the weekends. While there are several food hall and fast food places around there are many more excellent cafes and restaurants in the middle of the mall and in the arcades and streets surrounding it. King George Square is a short walk from the Queen Street mall. 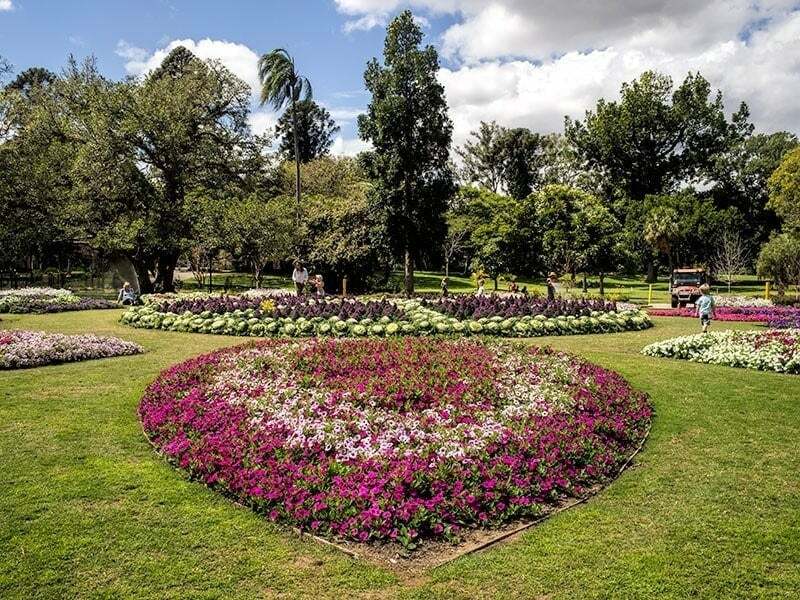 You’ll often find events & festivals hosted in the square on weekends and it’s the location of Brisbanes City Hall & a small museum that showcases the city and various other exhibitions throughout the year. The historic building was restored a few years ago and it’s got great architecture but to keep it in context remember Australia is a young country by world standards so although it’s a part of Brisbanes history it originally opened in 1930. 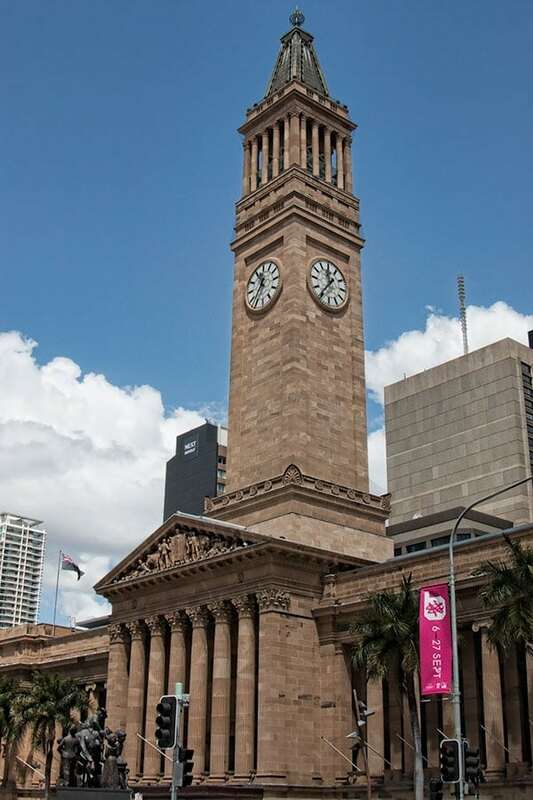 If you’ve got the time it is worth taking the free tour up to the top of the clock tower to see the views from what was once Brisbanes tallest building. Eagle street pier is a a riverfront precinct on the northern city side of the river. You’ll find excellent dining options at all budget levels here, popular weekend markets are held here on a Sunday and there’s ferry terminal for both the City Hoppers (a free service) and City Cats. There’s plenty of open public space and seating to take a break and enjoy it’s great river front views. The Pier is one of the premier river front viewing locations for the annual Riverfire Fireworks Spectacular in late September each year. Both the city side and southern banks of the river have a riverwalk promenade. This is a shared space for cyclists and pedestrians, follow the lane markings where they exist and in other areas consider other users. There are several pedestrian bridges and bridges with pedestrian paths making it easy to cross from one side of the river to the other and form a loop circuit. 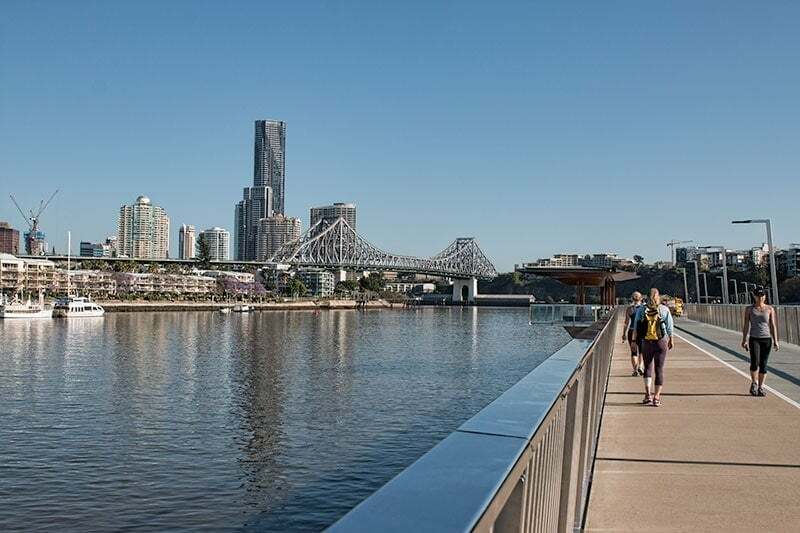 If you want to explore further afield you might want to look into the Brisbane city cycle scheme, if you drop the bikes off regularly as you explore you can stay within the free use period. 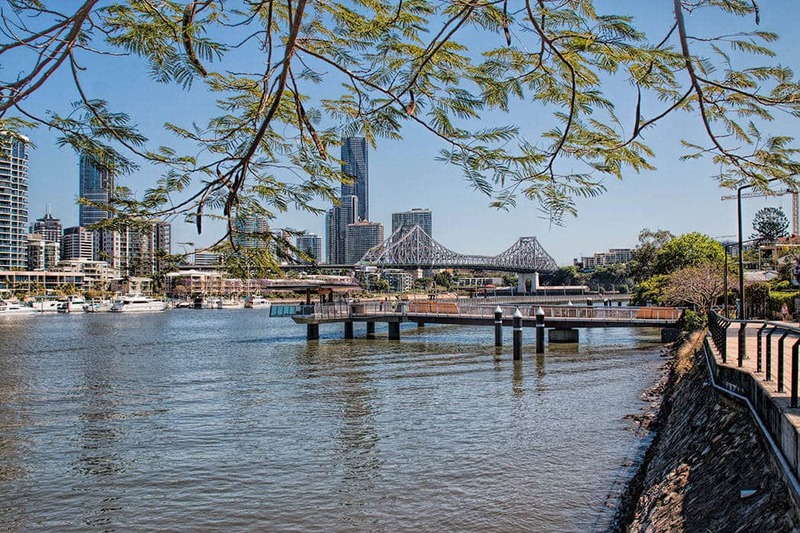 On the north side of the river you can walk or cycle between the city and New Farm, an inner city suburb was some good cafe options and large public park. This section of walkway was washed away in the Brisbane floods some years back and was re-opened last year. It’s an interesting and peaceful walk literally over the river for a good portion of it if you have the time. If you have the time and budget it’s well worth taking the ferry up and down the river. However on our no budget day we’re going to use the Cityhopper ferries and these aren’t a bad option. Take a seat on the open top deck on a sunny day and enjoy the little bit of river breeze to cool you down. The service has 8 ferry stops from North Quay west of the city as far east as Sydney Street. You can stay on, or get on and off as often as you want. The stops between the Eagle Street Pier in the centre of the city to Southbank are a useful shortcut. Feeling warm in the sub tropical climate? 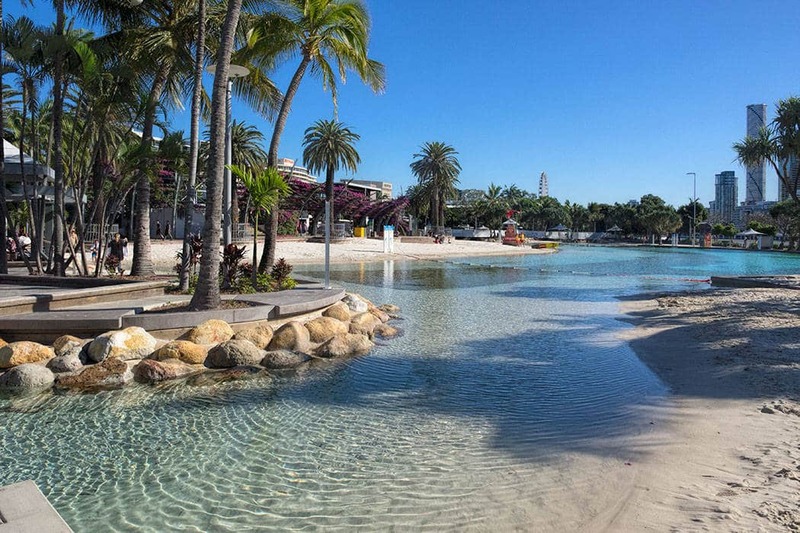 Take a stretch out on the sand and a swim at the lifeguard patrolled South Beach right in central Brisbane. It’s a man made beach for sure but it has the lovely soft sand our Queensland beaches known for and it’s going to work to cool you off. Plus you can’t go home without saying you’ve been for a swim in Queensland. The Southbank parklands are a substantial green space on the southern banks of the river opposite the CBD. They’re easily accessed by ferry from the city or you can walk and cycle across the Goodwill bridge at the eastern end of the park and Victoria bridge at the western end. You’ll find lots of green space, childrens playgrounds, picnic and BBQ areas. Your food options are covered within the park and surrounding streets from coffee-to-go and fast food options through to high end riverfront dining. The park regularly hosts weekend markets, live music on Sunday afternoons, festivals and events. Or you can ride the Brisbane Eye ferris wheel, wander through the rainforest boardwalk and relax in the tranquility of the Nepal Peace Pagoda. 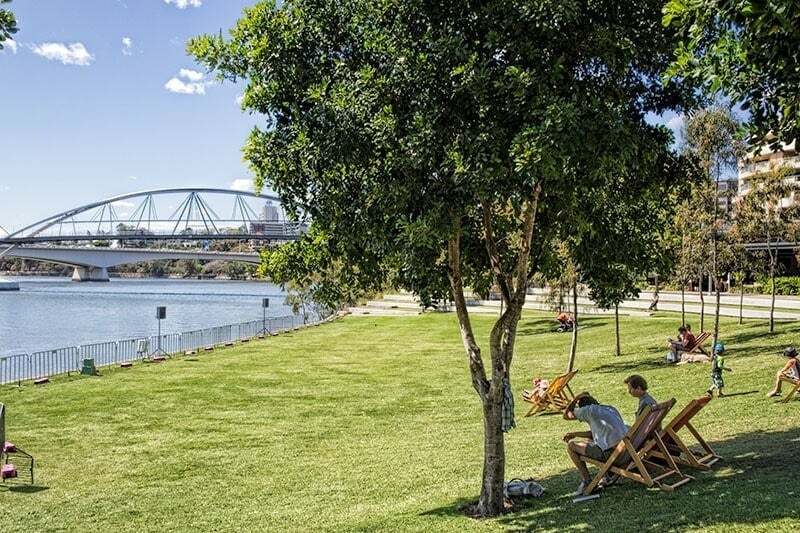 The area behind Southbank Parklands and to the west along the riverfront is known as the cultural precinct. 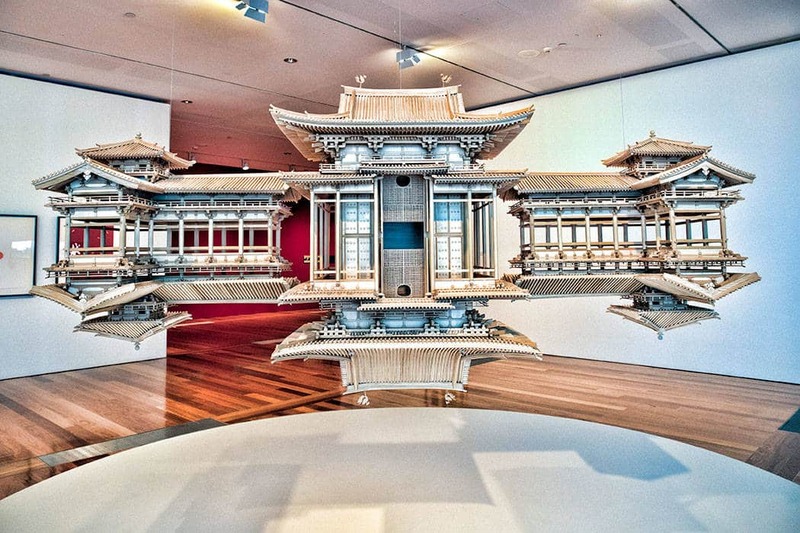 Most of the shows will incur a ticket price but a couple of free options to explore are the Queensland Museum and my favourite GOMA, the Gallery of Modern Art. 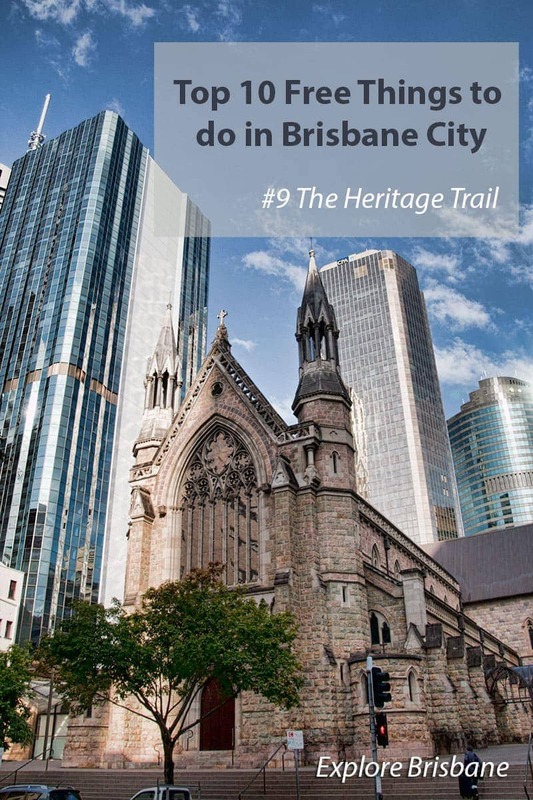 There’s plenty of information about Brisbanes heritage buildings and monuments online and Brisbane City Council also publish a heritage trails brochure that sets out a walking route around 26 of the sites including a bit of background on each. It’s a convenient route starting at the Regent Theatre in the Queen Street Mall and finishing back on Edward Street. 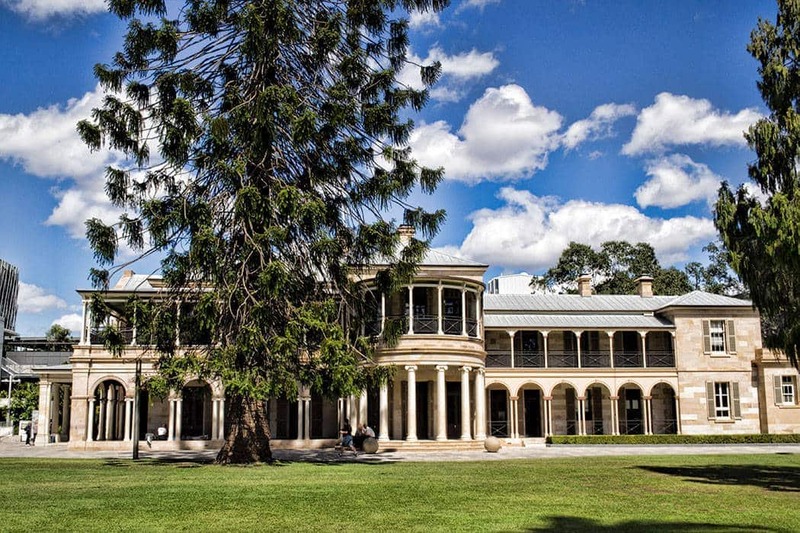 One of Brisbanes heritage buildings is the Old Government House, now surrounded by the university but open to all to take a look around and learn about it’s history. If you subscribe to the view that the Lamington cake was created in Australia then this is the building where it was first made as a quick alternative to tea cake for Lord Lamingtons guests. At the right hand side of the building in what was once the servants quarters the Pantry Cafe is still serving a good cuppa and lamingtons amid a menu of other more modern treats. It’s not a thing to do but it’s also worth knowing that there’s free Wifi available for your use at many of these locations and others around the city under the Wifi Brisbane Scheme. It’s available 7 days a week, 24 hours a day. You can pick up the free network in the Queen Street Mall, Southbank Parklands, Botanic Gardens, King George Square and a range of other parks and community spaces. So yes, it’s really quite easy to fill a day in Brisbane and get the pulse on this vibrant metropolitan city without blowing your budget. This is helped of course by the fabulous sub-tropical climate and the friendly locals so next time you’re passing through, consider stopping for a day or two and looking around. So what are your favourite free things to do in Brisbane city? What cities around the world do you find easy to get around and see for free? Share your thoughts in the comments below and use the quick share buttons to save the article for future reference. Great wrap up Toni. I really must do that Heritage Trail one day ! Some great suggestions here. We’ve recently moved to the Sunshine Coast & are exploring Brissy some more as part of that. Prior to this I’d mainly been there for work. Wow South Beach looks awesome! Lovely post, Toni! I have wanted to visit Oz for a long time now and I enjoy reading all your posts on these beautiful Australian cities. I have to admit, I love your posts on Asia as well. I am planning a trip to Aus for 2017 and your guides are helping me out – thank you! Not usually a fan of large cities, but there seems to be nice, calm pockets in Brisbine. I’d probably enjoy South Beach, Southbank, and the Botanical Gardens. Great list. Thanks for sharing! I heard a lot of good things about Brisbane but here you pointed them one by one, that is really helpful, thanks 🙂 Brisbane looks really nice! Really beautiful photos. Good list of activities to do. They great part about it is that it will cost you little or no money at all. What a great resource! I have yet to travel to Australia…will definitely use this if I do make it to Brisbane!! I would love to visit Brisbane, walk the heritage trail and savour a lamington! Great ideas! I could see myself soaking up the sun on South Beach or riding the ferry. Sounds like it is very worth a visit! I Loved Australia. I didn’t get a chance to make it to Brisbane, but now I know just how gorgeous this city is too. I’ll be back some day ;-). It’s a huge country Nicole, not possible to do it all in one visit but I do hope you make it back to see some more one day. My husband and I keep postponing our trip to Australia, and my friend that lives in Brisbane keep inviting us to visit him there. Now I know what a beautiful city I´m missing. Maybe is time to rethink your travel plans. Thanks for sharing those precious tips. Australia does have plenty to offer particularly if you like the outdoors. Hope you get to make your trip. I just love your posts Toni and this one is no exception. I also love seeing Brisbane from the River 🙂 Have you tried the free wifi? Is it fast? Thanks Jan! I normally use my own mobile connection but I did try it. It’s OK for email, posting to Instagram, checking a timetable or checking a website but I wouldn’t call it fast and you probably wouldn’t want to be using it for anything intense like streaming youtube. I love exploring anywhere on foot so that is definitely part of the appeal.